The team have made stark and almost shockingly impressive strides to get in the position where they are able to compete next weekend if you take into account the team’s position at the start of 2015. In January it was looking like Marussia were gone for good after the full list of creditors was revealed and an auction to sell off cars and parts was organised. This was cancelled at the last minute when the possibility of competing in 2015 arose with newly announced backer Stephen Fitzpatrick of OVO Energy and interim chairman Justin King. The team then sought permission to compete using a 2014 car, which was denied by team’s such as Force India. They then set about modifying the 2014 car so that it would comply with the 2015 regulation changes, before completing a deal with Ferrari to supply engines and a deal with Will Stevens to driver the first of two cars. The team will introduce a full, new 2015 car later on in the season. The team are yet to confirm their second driver or car design as of yet. With the announcement that the team would begin the year with a modified 2014 car, it has been bought into question whether or not the car will be fast enough to qualify within the the 107% rule; where drivers must be within one second of the fastest time in the first qualifying session in order to take part in the race. 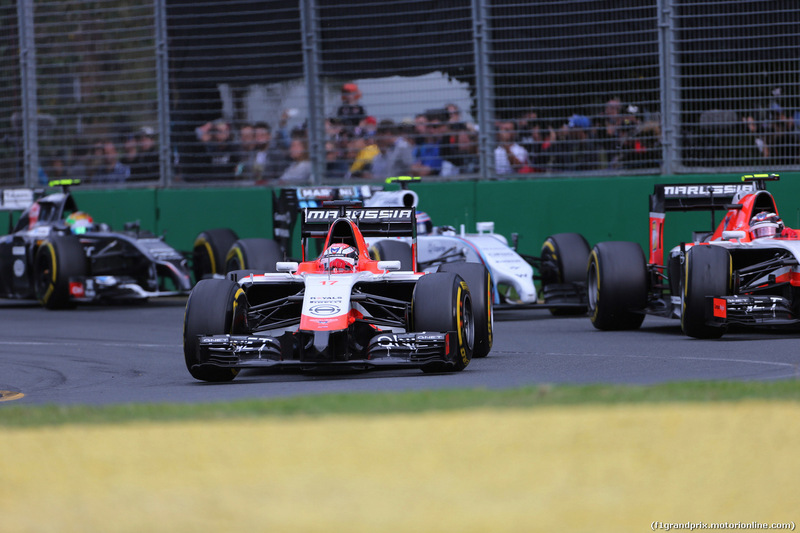 The first race meeting of the 2015 season gets under-way next Friday (13th March) with the first two practice sessions for the Australian Grand Prix at the Albert Park street circuit.